Written by Letitia Jinghui Lean, edited by Jackie Tan and How To Adult. This was a guest post for How To Adult. Nothing in school ever prepares you for the tsunami of responsibilities that come with being an adult, you just get mercilessly thrown into the deep end. Suddenly, you’ve got bills to pay, budgeting to do, insurance to set up, and many other responsibilities that keep piling up! The key is to take things one at a time, and breathe. 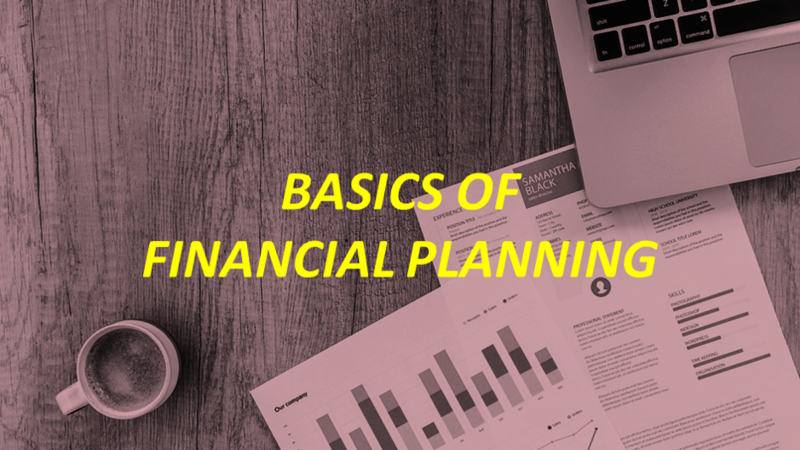 In this article, we’re gonna simplify the mind-boggling concept of financial planning and provide baby steps you can take to set yourself up for financial success in the future. Huh, simi ‘financial planning’ ? It’s preparing for your future through evaluation of your current pay and desired financial future. By setting short-term and long-term goals, you’ll be better equipped and motivated to make good financial decisions and accumulate the wealth you need to meet said goals. You could also think of it as building a house. A solid foundation is needed before everything else falls into place. Good financial planning also gives you that stable base, from which you can build your fortune to protect yourself and your family from the different types of personal disasters. What is your current financial situation? This refers to your income, savings, expenses, debts and loans. If you are unsure, ask your parents – they’ll be sure to help! It’s good to have these information written out. What do you wish to accomplish or own? It goes beyond saving money for that big-item purchase. Talk to your family or partner to get their advice. Ultimately, only you can decide on your goals and differentiate between your needs and wants. How can you achieve your goals? Here is where you become well-versed with different strategies. You could evaluate the benefits and risks of various solutions, and even get some answers from the Internet. When can you start? It’s time for you to select, plan and take action. Consult your financial advisor as they could speed up the process and help you make better decisions too. If all these seem overwhelming, that’s because it is. It isn’t the easiest thing in the world, cus’ it actually takes plenty of time, effort and commitment – but it’s all for a better future. In order to get a head-start on the financial planning process, here are some tried-and-tested strategies that others have used. Some of these points have already been touched on in our other posts, but hey – that just reiterates the importance of it, huh? Aha, if you’re wondering what this means, head on over to our ‘5 Budgeting Tips’ article. In this day and age, people still underestimate the impact of this strategy. You’ll be better equipped to cut down on unnecessary expenditure and direct your resources to where you want it to go, when you understand your cash flow. Segregate your expenses into 3 categories: non-negotiables (eg. taxes, debt payments), important (eg. groceries and bills) and discretionary (eg. entertainment, shopping). You’ll be able to better prioritise – helping you achieve your financial goals! You could even download free applications such as Seedly, Pocket Expense and Expensify to help track your cash flow with ease. You’ll be surprised at how much you spend on unnecessary items! And yes, that refers to that pair of jeans adding on to your collection. As we’ve discussed in our ‘Save Money with 5 Simple Steps’ article, life is unexpected and anything can happen. It’s always good to be kiasu and start saving for that rainy day that could happen at any time (touch wood). As mentioned by Kenneth Lou of Seedly during our Official Launch Party, it’s always good to separate your savings and spendings. You’ll be able to use every single cent of your spendings account, but never from your savings. Easier said than done, but you could always automate the channelling of your finances into these 2 accounts by setting up a GIRO account. Let the bank do the hard work, while you watch your money grow! Thank you, compound interest. You should aim to allocate less than half of your monthly salary to your spending account for all fixed and variable expenses (eg. bills, food, and entertainment), and the remaining amount towards your savings and investments. If you’d like to take it up a notch, set aside a small fixed percentage of your salary to invest – and work on making it grow from there. As much as we’d like to be – nobody is invincible on this earth. So, if anything happens (touch wood, again), at least you’ll have insurance as a safety net, or a form of financial protection for you and your loved ones. Get yourself a trusted insurance agent to help you with the purchase to avoid falling into the pitfalls and deathtraps of greedy money-sucking institutions. Or even suspicious ‘friends’ who are suddenly invested in your life and want to treat you to coffee, upon graduation. Get acquainted with websites such as Seedly and DollarsAndSense and don’t be afraid to ask for help! Yes, even those chat-bots on websites can be quite useful. Educate yourself to become financially literate, so as to be able to make better decisions as well. Whether you’re a hustling millennial working hard to attain your dreams, or just plain sian about adulting – look for a trusted financial advisor. They should able to help you understand and work out the nitty-gritty details of good financial planning. When the going gets tough, the tough get going! The earlier you start on financial planning, the faster you’ll be able to meet your goals and achieve your dreams. Go ahead, it’s time to turn those dreams into a reality. fundMyLife is a platform that aims to empower Singaporeans to make financial decisions confidently. We also connect consumers to the right financial planners in a private and anonymous manner, based on their financial planning questions. Personal Accident Plan: Should You Buy Standalone Or As A Rider?